– Academy Award Winner and DOP of RUSH, Anthony Mantle. 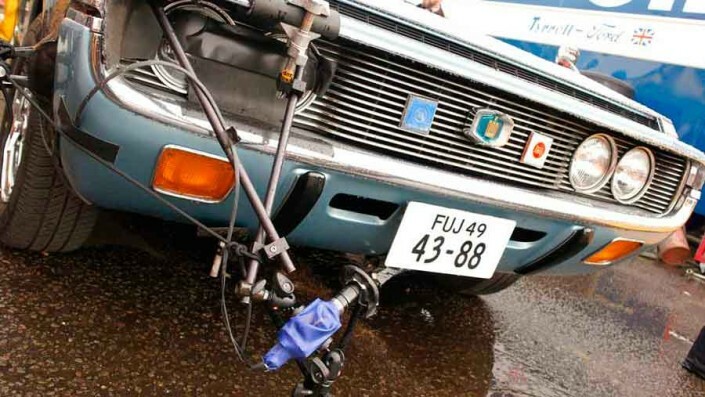 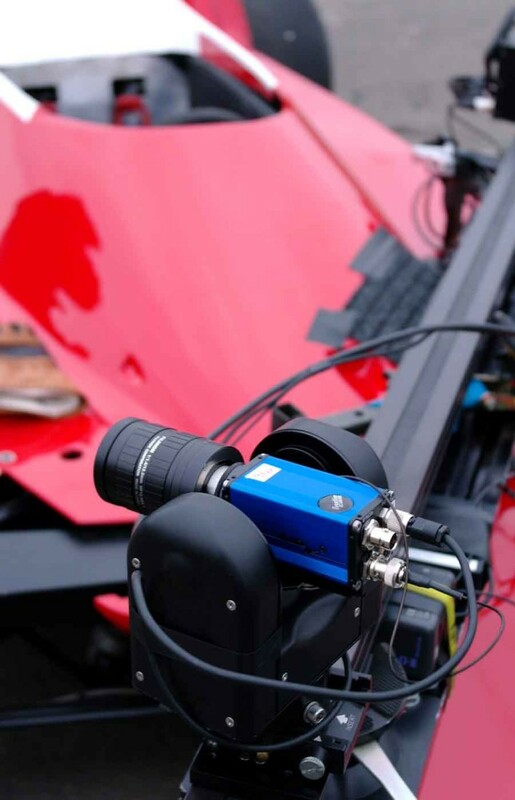 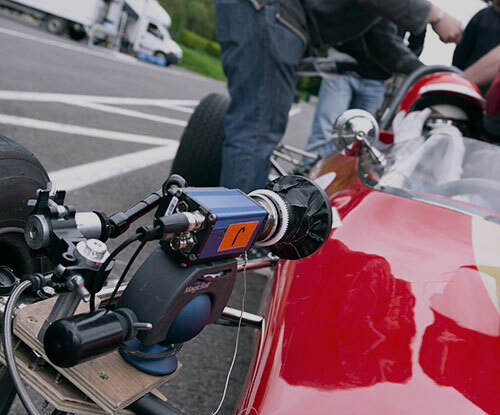 How do you capture cars traveling at bone-shaking speed while maintaining the authenticity of a bygone era? 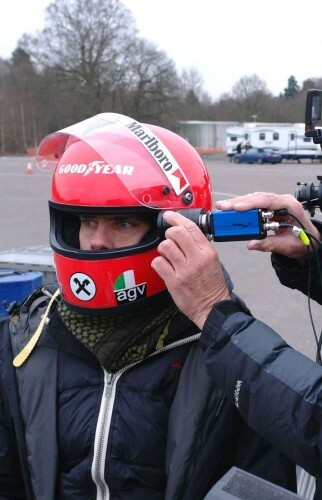 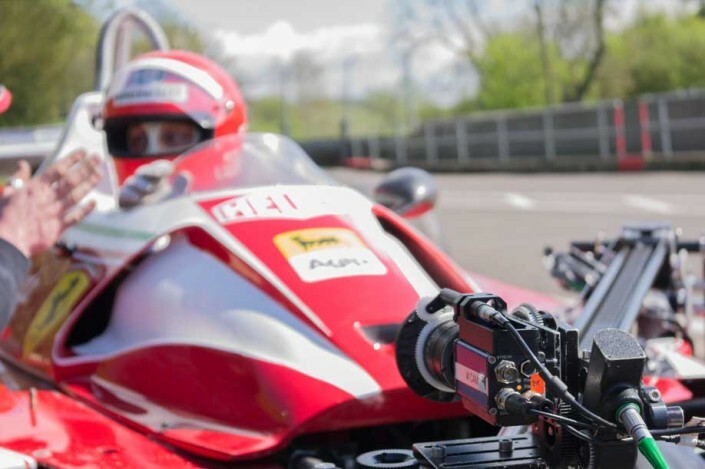 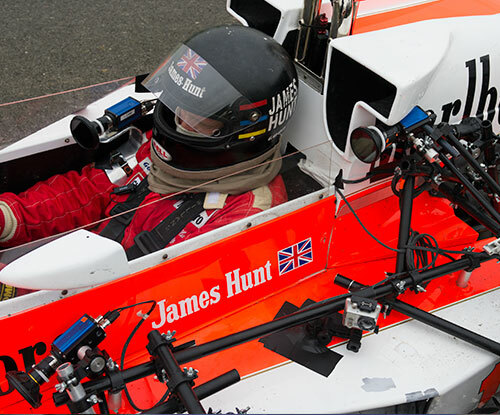 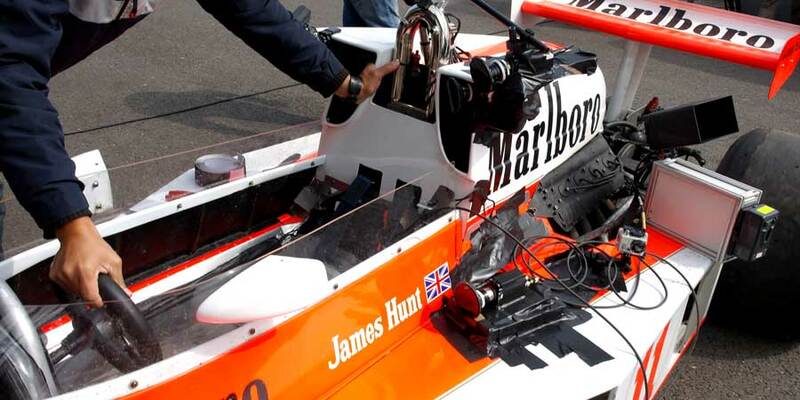 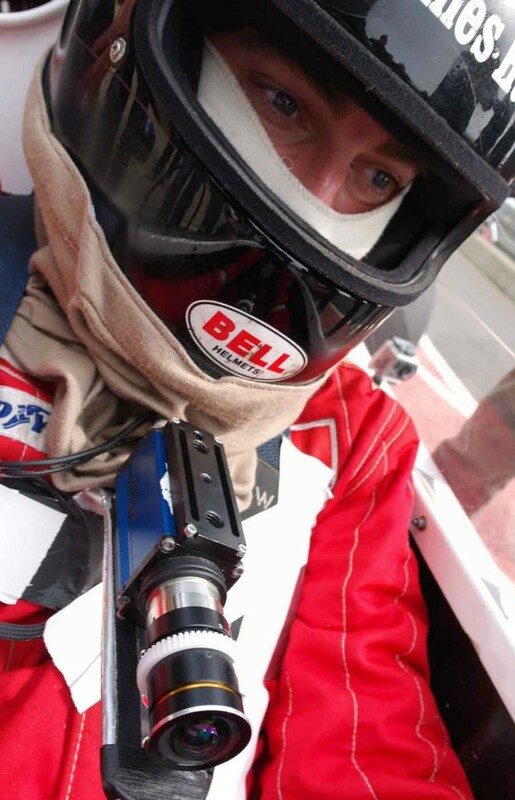 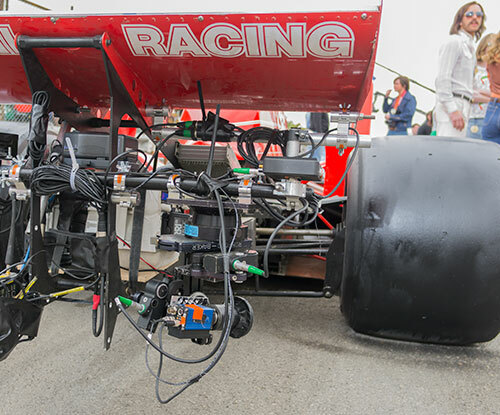 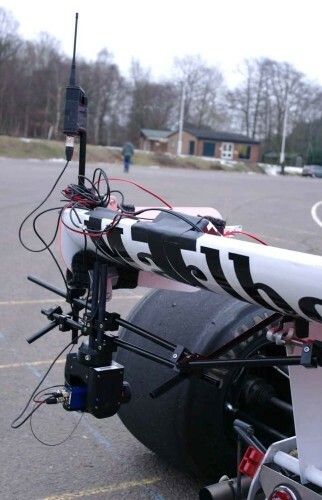 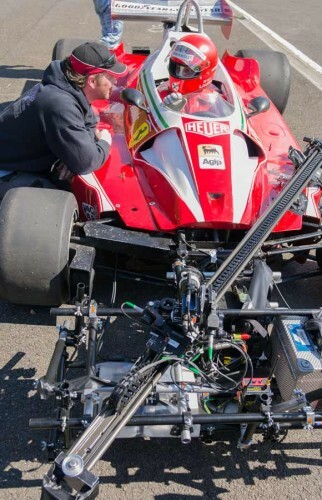 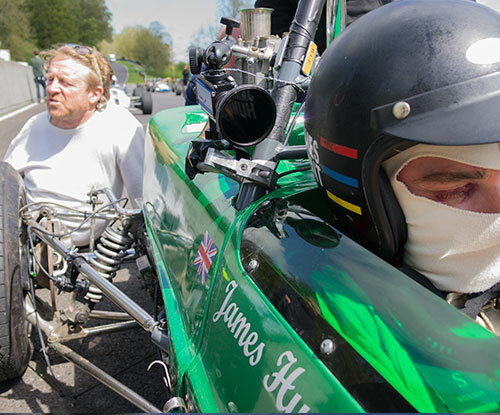 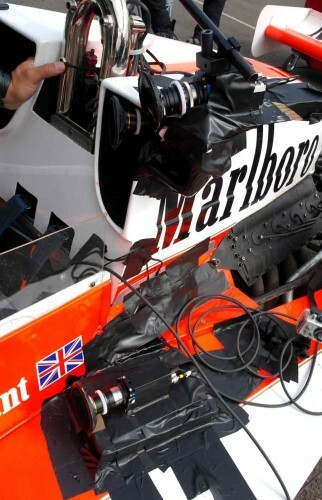 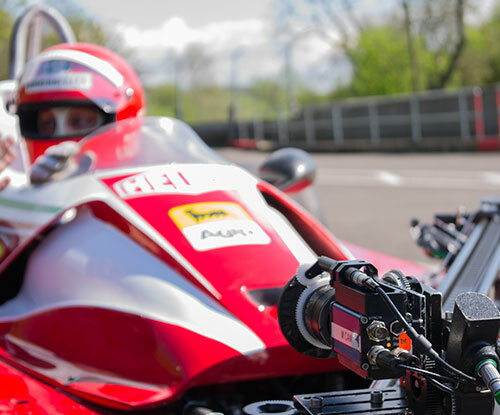 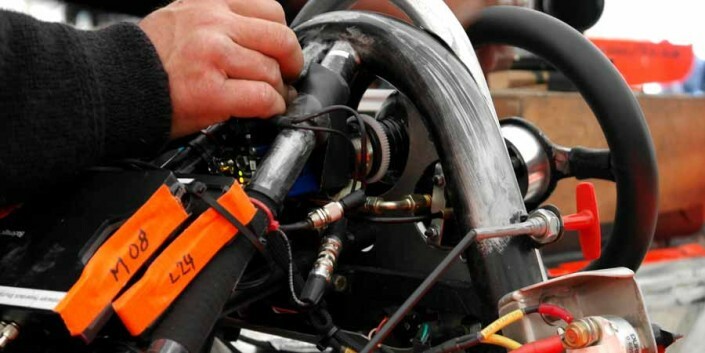 Integral to both re-capturing the feel and look of racing in the 1970s and the real time experience of the hurtling drivers was the use of numerous indieGS2K cameras. 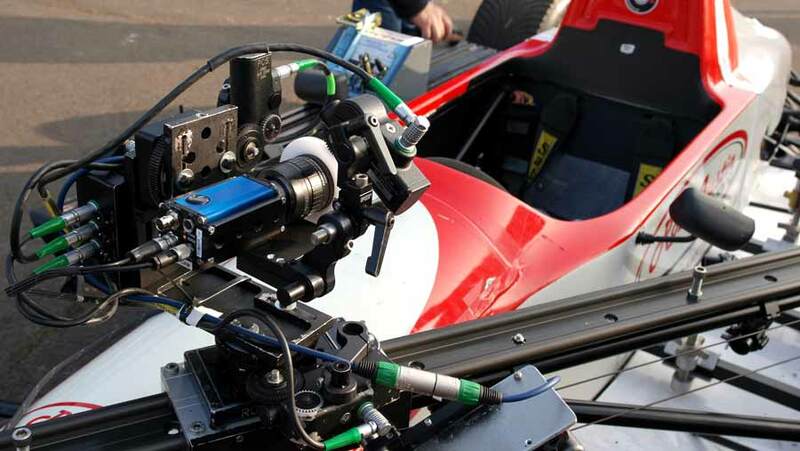 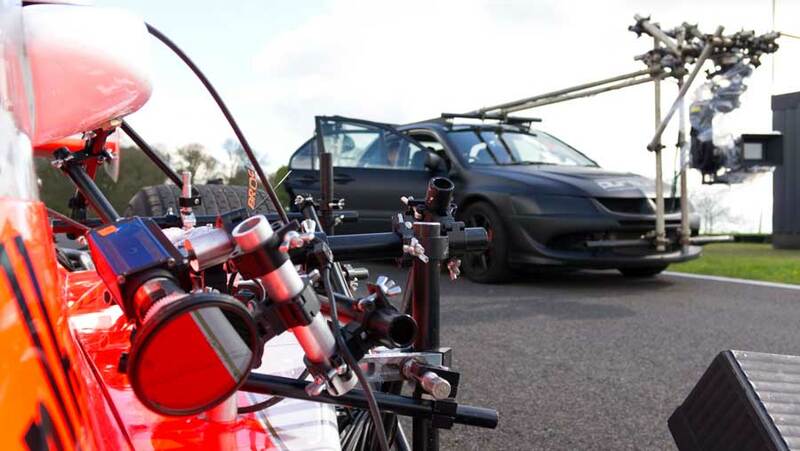 DOP Anthony Dod Mantle used the indieGS2K primarily because of its unique global shutter and 2K-RAW capabilities. 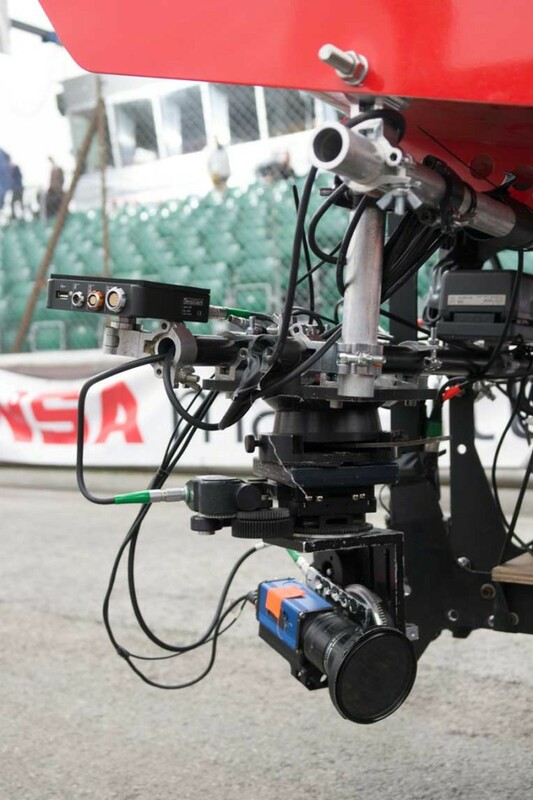 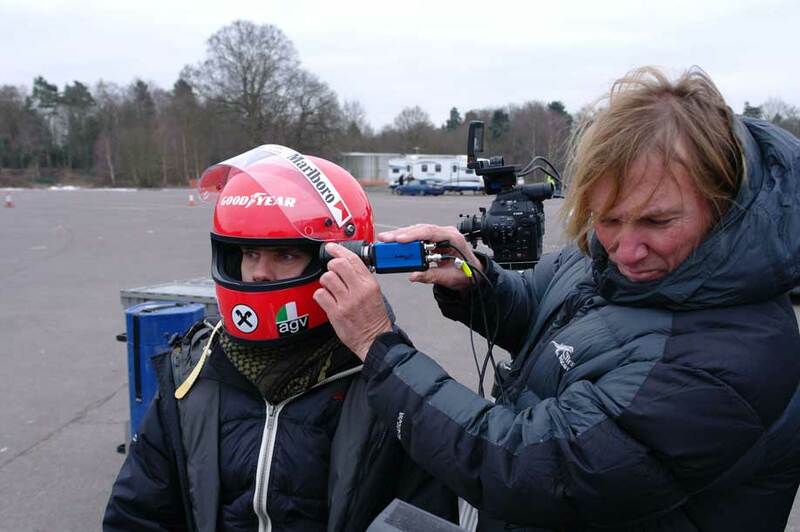 In the beginning he shot mainly racing scenes with the GS2Ks, but at the end of production the minuscule action-cameras were everywhere, showing their strengths even in complicated on-board storytelling sequences. Director Ron Howard’s RUSH is the story of the 1976 Formula I season and in particular, a tale of the rivalry and relationship between the two drivers who contested its championship. 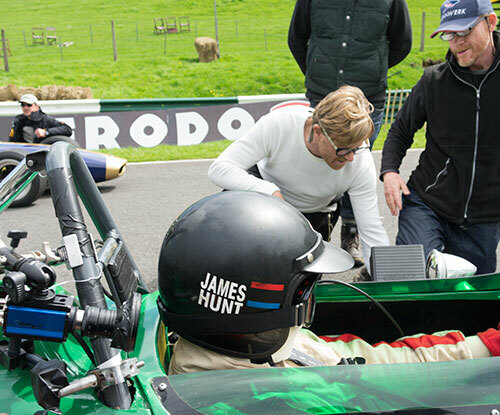 Chris Hemsworth plays James Hunt, the fiery and brazen British driver, while Daniel Bruhl is Austrian Nikki Lauda, a quieter but calculating racetrack tactician. 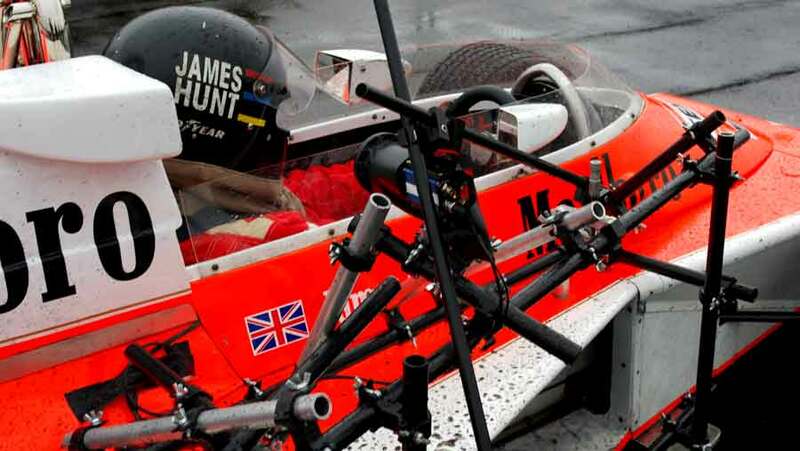 The 1976 Driver’s Championship that both superstars sought was as much a battle of on and off track personality as much as it was about the cars they drove. 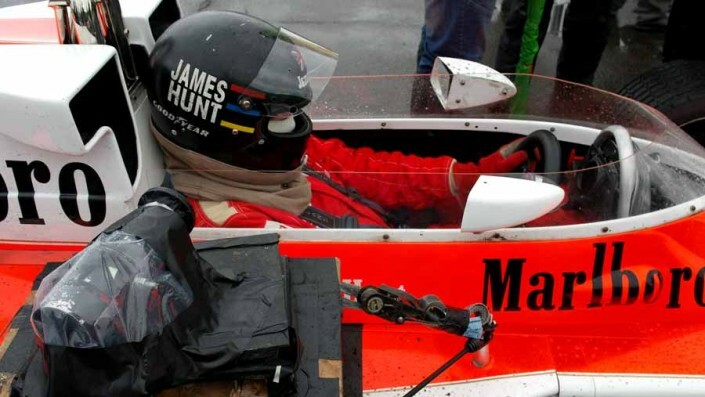 To match the drama of personal conflict with a very personal experience of Formula I racing, Dod Mantle had to find a way of capturing the dangerous high speeds and metallic violence of what he called “death machines”. 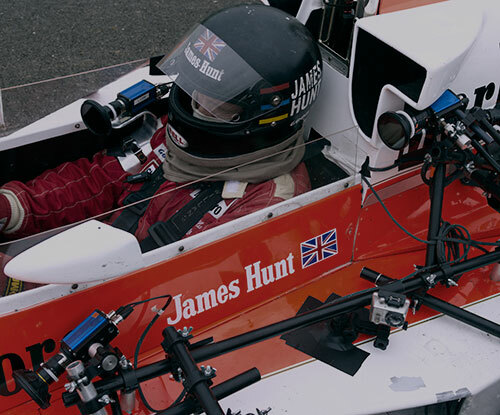 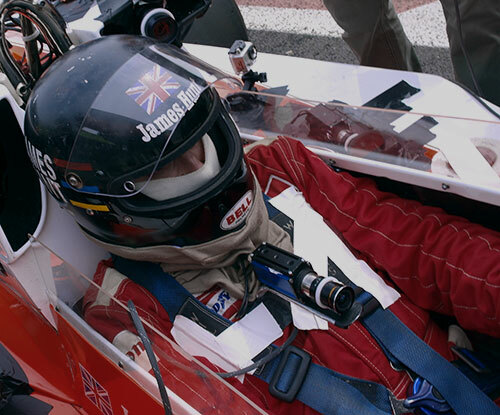 In conversation with Mark Hope-Jones at American Cinematographer, Dod Mantle said having had success with Indiecam on the movie TRANCE he knew they would be effective for the feel he and Howard wanted to create in Rush: “I wanted them next to anything that moved or breathed or vibrated – anything that made the car seem alive”. Ron Howard says in The Will to Win (The Making of Rush) that he wanted to use the most “contemporary cinematic tools” to put the viewer in the driver’s seat. 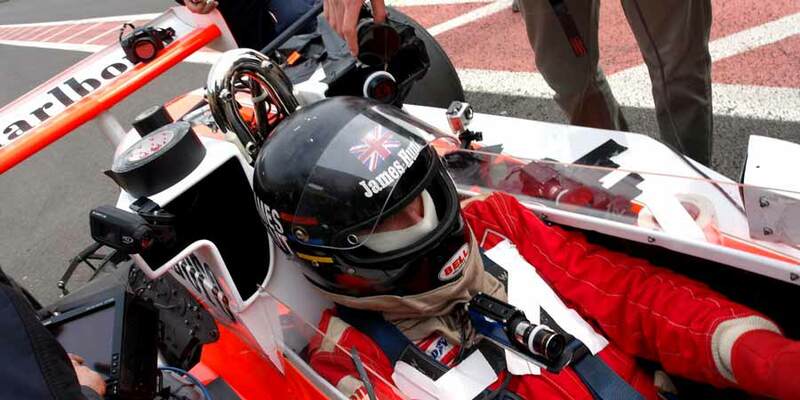 The indieGS2K experience was an essential tool in this endeavour. 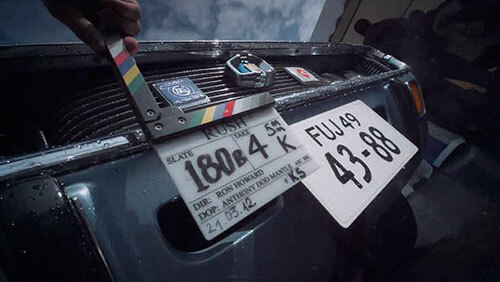 Academy Award winner Anthony Dod Mantle discusses the challenges of filming RUSH in the October 2013 edition of American Cinematographer.